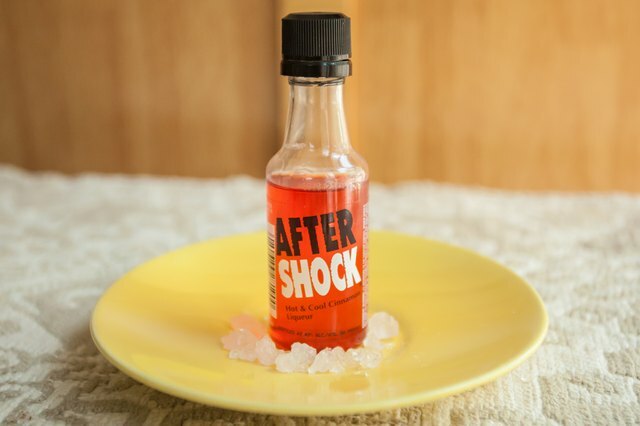 A sweet-and-spicy cinnamon flavored liqueur, After Shock is bold not only in flavor but also in presentation. Each fiery red bottle contains edible sugar crystals, which are nestled at the bottom. Getting the cinnamon-flavored crystals out of the bottle can be a challenge, but a little persistence and a bit of ingenuity will result in a sweet snack. 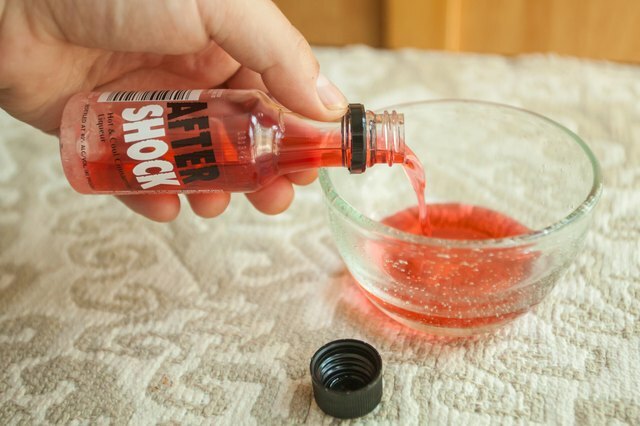 Remove all of the liqueur from the bottle of After Shock. You want the crystals to be dry, so leave the top off the bottle and let any remaining liquid evaporate. Microwave the bottle for a minute to heat up and soften the crystals. 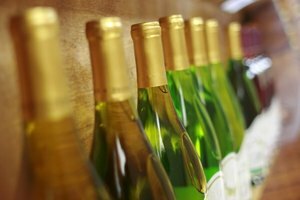 This will allow those crystals touching the inside edges of the bottle to more easily dislodge. 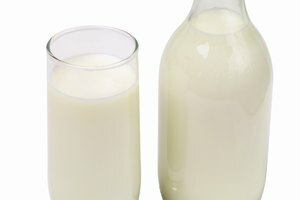 You can also submerge the bottom of the bottle in a bowl of hot water for a couple minutes. 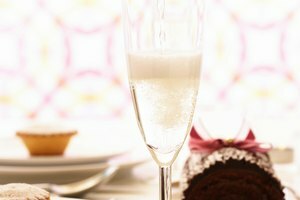 Insert a butter knife into the bottle and carefully chip away at the crystals. 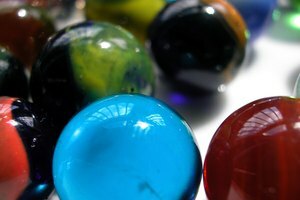 You can also use a strong wire and bend it to dislodge hard-to-reach crystals. 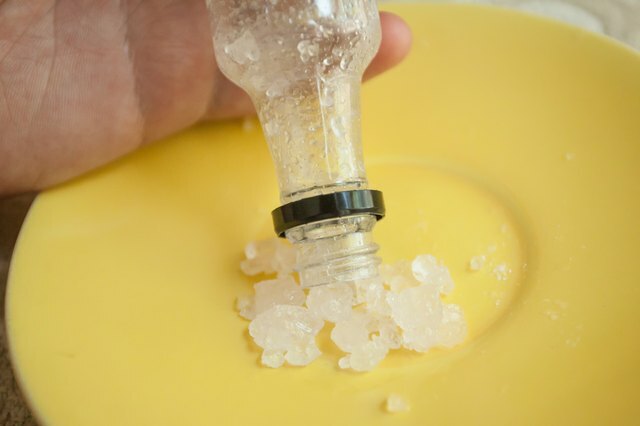 For stuck-on crystals, reheat the bottle and continue chiseling away at them. 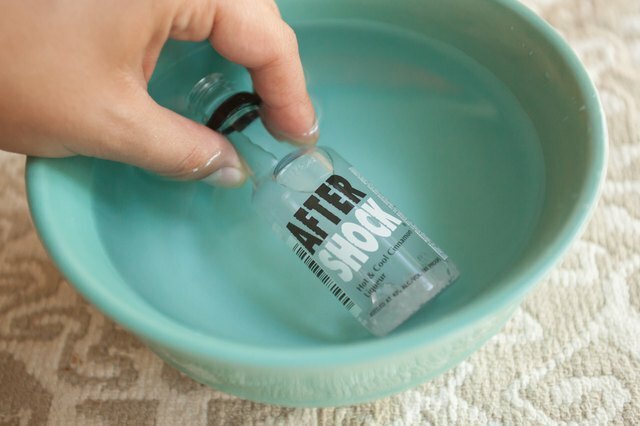 Flip the bottle of After Shock over and shake the dislodged crystals out. 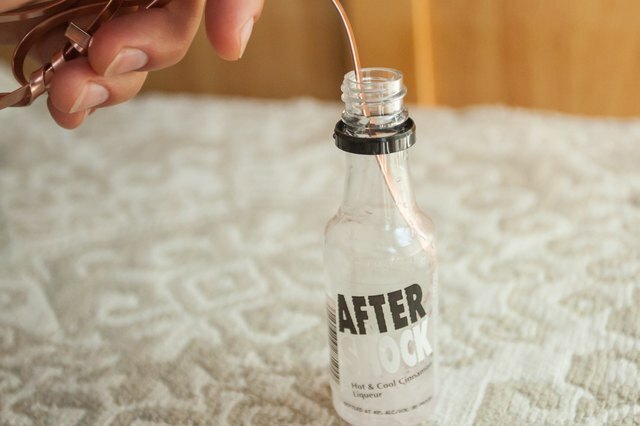 Do not try to break the bottle of After Shock open as the accidental consumption of glass shards can cause serious internal injury. The bottle will be hot if microwaved, so be sure to remove it with oven mitts.